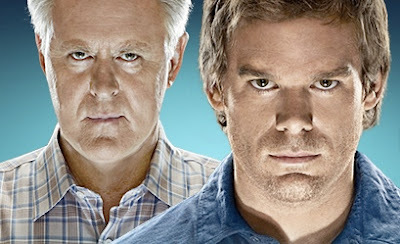 Yes, I am as surprised as you at how addicted I have become to Dexter. Season Five finally arrived and if drugging my children were legal, I would do it so that I could have some uninterrupted time to watch it. The season has been in my house for several days and I am only just finished episode 4. In comparison, I would have to say that each season, to me, has been fantabulous. Season 1 was especially good because it was the introduction and I was instantly hooked. Season 4 was also incredible because, well...John Lithgow is an amazing actor. Combine that with great writing and character development and you can and will get great things. 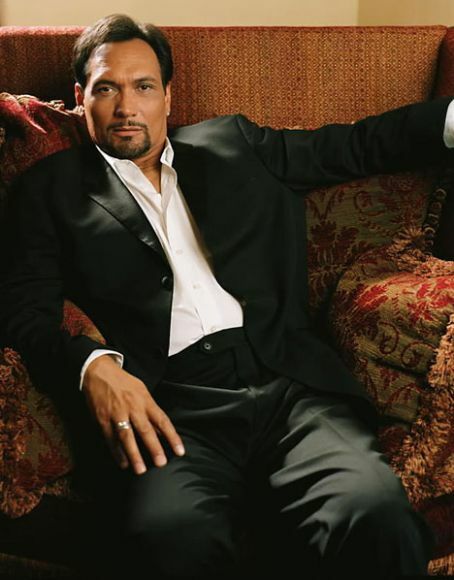 I have a fond place for Season 3 with Jimmy Smits because--damn--he is smoking hot! I never, ever, ever thought he was good looking until I saw him on this show. 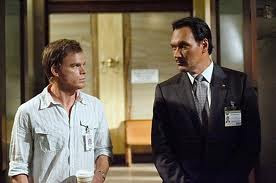 Season 2 was also good -- this was the one with Lila -- very intense. Hey, I've been following your blog and I just wanted to invite you to a new Jew by Choice forum I'm setting up to replace one that previously shut down. I figured why not post on this thread so I could also take the opportunity to say me and my husband are also addicted to Dexter. We started Season 5 last week. Actually, after I send this we're going to watch another Episode. I'm not sure how I feel about Julia Stiles but we'll see. Anyway, please feel free to check out the new site. It's open to all Jews from any denomination or affiliation. You may have been a member of the old forum on Wordpress, I'm not sure. Hope to see you around.